/co/ - Comics & Cartoons » Searching for posts with the image hash ‘uFdCRLo3MsqCKfjD03YbXw==’. Searching for posts with the image hash ‘uFdCRLo3MsqCKfjD03YbXw==’. 1 results found. >That scan is why I hate Constantine with Zatanna it just feels like a predatory relationship, one of corruption I prefer a happy go lucky magician Zatanna, not a cultist groupy. 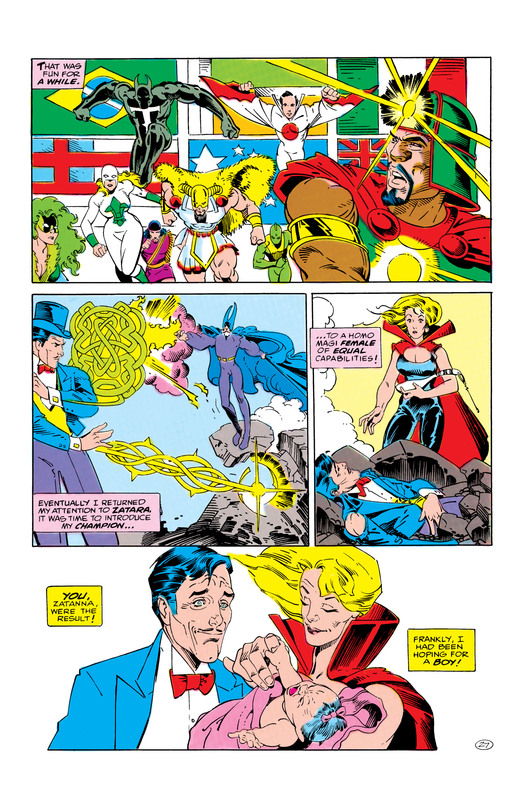 Her Secret Origins issue (27) made it pretty clear that it was a little fling when they were both being trained by Doctor Mist, but that issue was kind of creepy too because it could be read as Mist having a crush on her, and he's an immortal being who pretty much raised her.